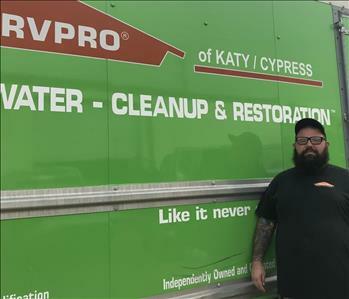 We are pleased to introduce Chris Johnston, the owner here at SERVPRO of Katy/Cypress. This man is the life and soul of our franchise. He took over for his father when he retired and before that was working here as a technician. He knows the business of water restoration and fire restoration and wants to make sure he takes care of his fathers legacy. He will do whatever it takes to makes sure the customer is left happy with us! 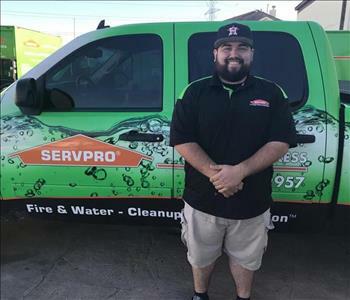 Joseph Lewman is the Production Manager here at SERVPRO of Katy/Cypress. He has been with us since he was just a helper. 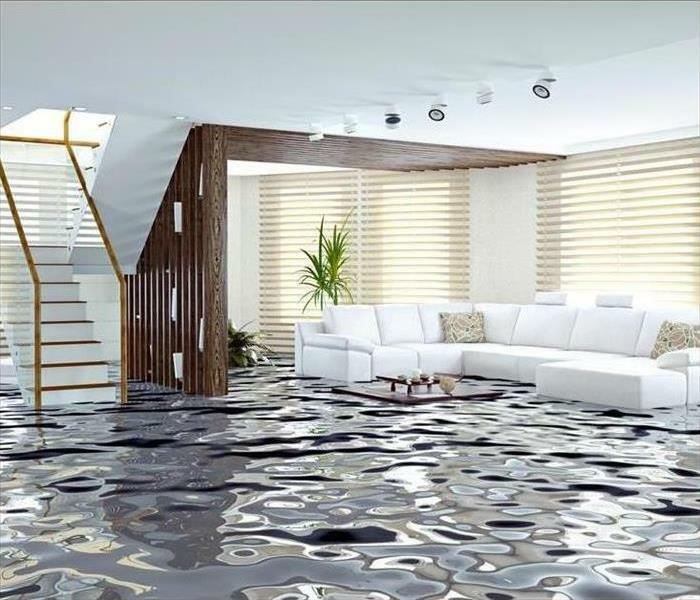 Joseph Lewman is an expert in water restoration, fire restoration, and mold remediation. If you have a problem he is your go to man. Taylor O'Shaughnessy is the Office Manager here at SERVPRO Katy/Cypress. Taylor O'Shaughnessy is our go to girl in the office. Chances are that if you call the office you will hear her sweet voice on the other end. She knows the business through and through can handle any problem you have. Water restoration and fire restoration doesn't scare her and she will talk you through your disaster and get your life back to normal. 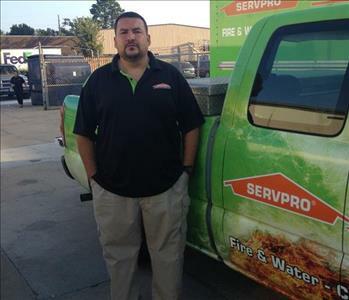 Mannie Gamez is a Sales Marketing Representative here at SERVPRO of Katy/Cypress. Mannie Gamez doesn't play games when it comes to water restoration and fire restoration. She knows everyone in the city and everyone knows her. 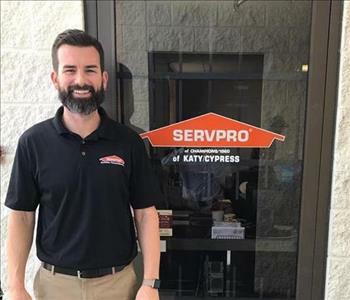 JT is a Sales Marketing Representative at SERVPRO of Katy/Cypress. 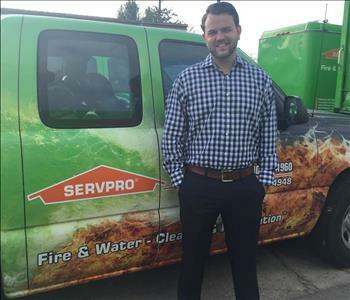 JT is our newest member to the SERVPRO team of water restoration and fire restoration. While he is new he makes up for in hard work and dedication. If you have mold then he can help you remediate that too. 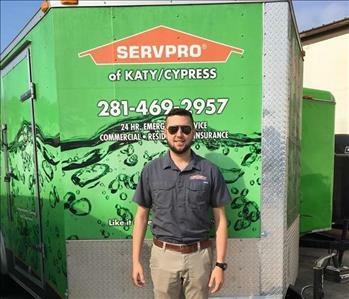 Ramiro Martinez is a crew chief here at SERVPRO of Katy/Cypress. Ramiro has more experience in the field of fire restoration, water restoration, and mold remediation than most people do all around. He can fix any disaster you have no matter how big it is. 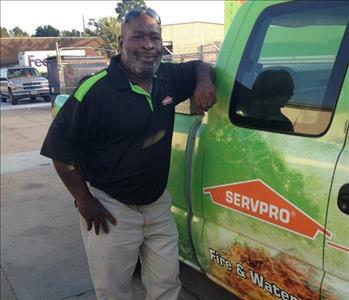 Thomas Kennedy is a technician's assistant here at SERVPRO of Katy/Cypress. Thomas "T Dog" Kennedy is an expert in water restoration, fire restoration, and mold remediation. He knows the business more than anyone. "Wet goes to dry" is what he will always tell you because no job gets him scared. Eventually he will restore your house and restore your sanity. Nicco is a Crew Chief for SERVPRO. He is certified in water restoration, fire restoration, mold remediation, and applied structural drying. He is a huge fan of Houston and that is why he is smiling so big in this picture! 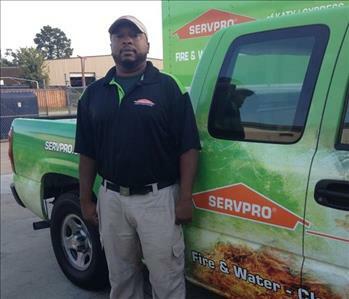 Hendrick Palmer has been with SERVPRO for over 3 years, and is one of our most experienced technician. Mr. Palmer is now a crew chief thanks to his hard work and dedication. With a habit of efficiency with a great attitude, he is the man you want handling your loss. Alejandro Villalobos is our vet. 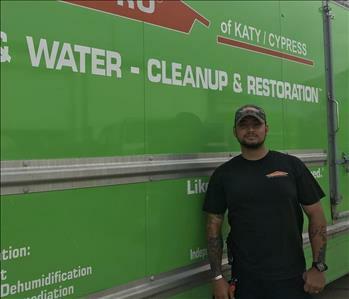 With a healthy work appetite and a love for the job itself, there is no question why this man is our newest crew chief here at SERVPRO of Katy/Cypress. His expertise in the field is what one needs to make sure the job is done on time and up to par. We are lucky to have him as a new addition to our team. 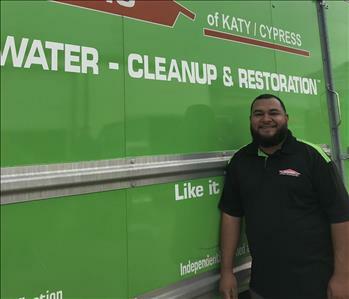 Rodolfo is a crew chief here at SERVPRO of Katy/Cypress. From the highway to your driveway, this man is making sure every detail for the job is accounted for. Mr. Pena Garza has fun in every situation while holding the highest respect and professionalism for the job as well as the customer. Mark is a technicians assistant here at SERVPRO of Katy/Cypress. One our newest team members. Mark has been with us for almost a year. With his over all knowledge, and handyman background, Mark makes an excellent addition to our team. Mr. Oberpriller's love for Houston sports while displaying his wonderful heart of gold makes him a great technician to have working for you. 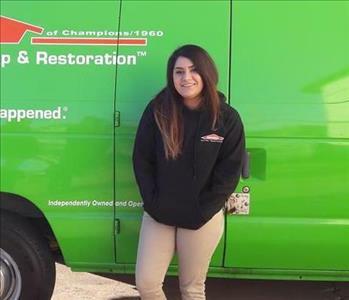 Autumn Gonzales is one of the newest team members that has been added to our family here at SERVPRO of Katy/Cypress. Autumn is our designated voice of the office. If you have had the pleasure of calling our office, it most likely was her that you talked with. We are blessed to have her in our ranks. Miss Demetris Davis is one of our long lasting team members. Demetris is one of three crew chiefs among the cleaning technicians. Miss Dee, is what she is known as around these parts. 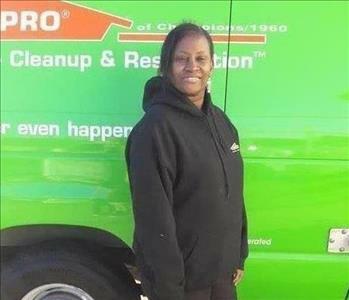 Miss Dee Davis has been with SERVPRO for almost 18 years, and is one of the most knowledgeable persons in our office. 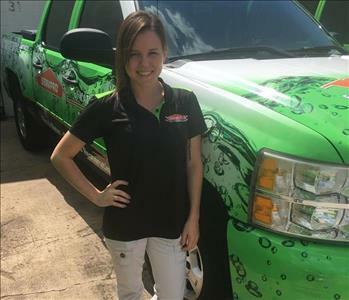 She is a vital team member here at SERVPRO of Katy/Cypress. 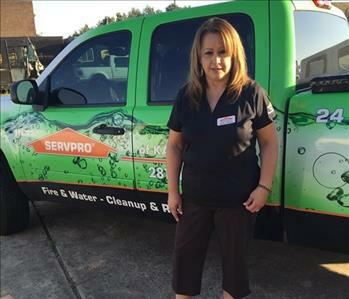 Karla Gomez is a crew chief of the cleaning technicians here at SERVPRO of Katy/Cypress. She has been with this company for almost 4 years and makes it her duty to make sure that everything runs smoothly on the contents and cleaning side of our business. 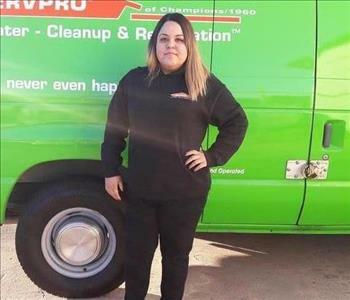 Diana Alcaraz is the crew chief of the cleaning technician team here at SERVPRO of Katy/Cypress. 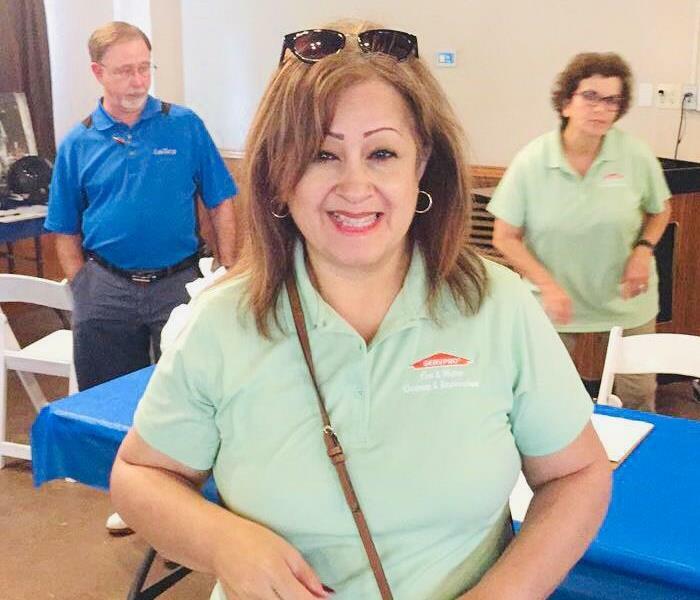 Diana has been with us for 4 years and has over 15 years of experience in the restoration field. Her expertise is coveted here in the halls of SERVPRO of Katy/Cypress. We are lucky to have her, and are look forward to having her part of this team for a long while.